Steve Prestwich is best known as the drummer for legendary Australian band Cold Chisel. As a songwriter Steve wrote some of the bands best known songs including “Forever Now”, “When the War is Over”, and “Flame Trees”*. Steve’s songs have also been recorded by many other artists. It all started back in Liverpool, England. Growing up in the 60′s, surrounded by Beatlemania and the Mersey Sound; which naturally had a big influence. Steve did his first gig playing drums at eleven years of age, having started taking drumming lessons from his father as a nine year old. Steve’s dad was singing and playing drums in a ‘Beat’ group at the time and had played at the famous Cavern Club. Steve would go along and watch them play locally whenever he could. He knew then exactly what he wanted to do. During his teens, Steve soaked up various musical influences including R’n’B, Soul (Tamla Motown), Reggae, Folk, Rock, and progressive Rock. Liverpool was visited by a wealth of musical artists of all genres and Steve would see as many live acts as he could. In 1970, Steve was asked to join a folk rock outfit lead by a guitarist friend from his early high school days. Steve got a taste of being on the road, as the band started to perform in and around Liverpool. In 1971 aged 17, Steve’s family had arranged to emigrate to Australia. This was a difficult decision for Steve, as he had a day gig and his musical career was off and running. Steve initially decided to remain in England, but thought he would correspond with a cousin who was already in Adelaide, to get an idea of what was happening on the Australian music scene. It was after this correspondence, and getting copies of ‘Go Set’ and ‘Juke’ magazine that Steve thought that maybe Australia would be worth a visit. After all he could always return if things didn’t work out. Not long after arriving in Adelaide, Steve met up with a guitarist from Liverpool and a bassist from London, and the band ‘ice’ was formed. It wasn’t long before the band were performing in and around Adelaide, doing a mixture of covers and originals. 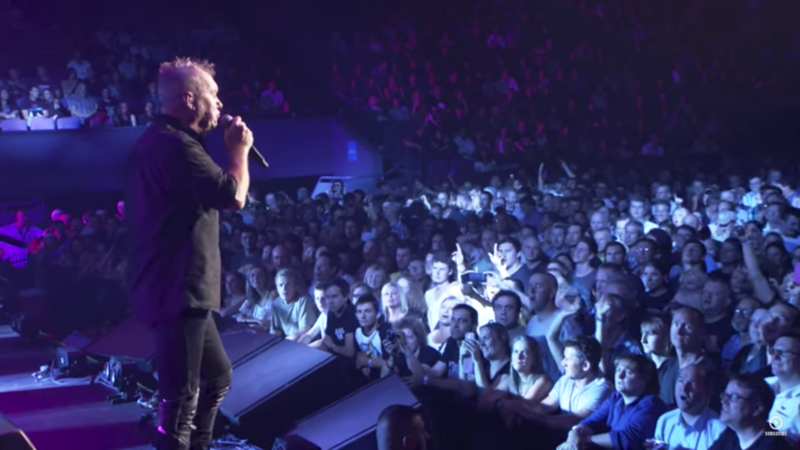 It was at a gig in Adelaide some months later that Steve met bassist Les Kaczmarek. They hit it off immediately. The next time he heard from Les, he was asking if Steve would be interested in joining a band he was putting together. As ice’s guitarist had recently decided to return to England, Steve decided to go along and audition. On that day he met Ian Moss, Don Walker and Jimmy Barnes. It was 1973 and the rest as they say is history. Over the next ten years Cold Chisel went on to become one of the hardest working and most successful bands in Australian music history. They farewelled their fans in 1983 with the Last Stand tour. In 1984 Steve joined The Little River Band. Recorded two albums and toured America. He left in 1986. In 1995 having moved to the country with his family, Steve started work on what would later become his first solo album. The album was put on hold however when at this time Cold Chisel decided to reform and record their first album in over a decade. This moved the focus from Steve’s project to the Cold Chisel album. 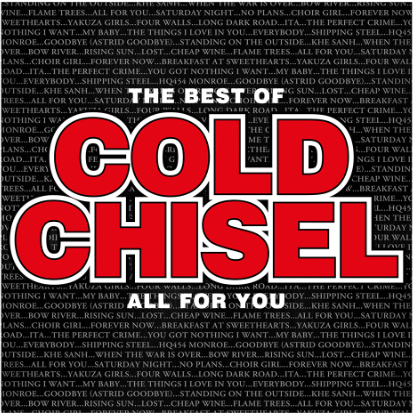 In 1998 Cold Chisel released The Last Wave of Summer album, followed by an extensive tour. The album contained two new Prestwich songs, “Water into Wine” and “Way Down”. In 2003 Cold Chisel embarked on the ’Ringside’ tour. This tour was filmed and recorded, and featured Steve performing two new songs (Lovelight, All I Wanna Do) singing and playing acoustic guitar with the band for the first time. In October 2009, Steve released his second solo album Every Highway. Described as a rootsy blend of blues folk and country, it features Steve singing and playing acoustic guitar on all tracks, accompanied by Paul Robert Burton (Double Bass), Clare O’Meara (Fiddle), and Kara Grainger (Dobro, Slide and acoustic guitar). Steve’s teenage son Vaughan also makes his recording debut on guitar. In 2009/2010, Steve was once again contributing drums and songs to Cold Chisel before his sudden and tragic death in January 2011 due to complications from a brain tumour.